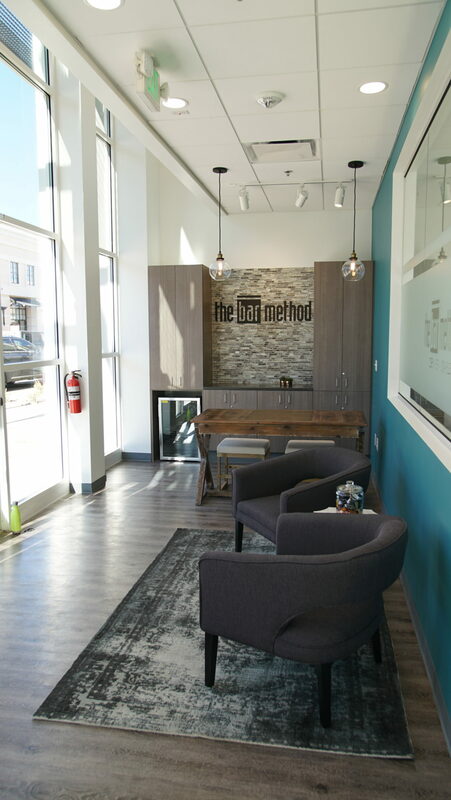 The Bar Method Denver - Stapleton is a boutique fitness studio offering barre classes for students of all levels. The signature method uses your own body weight, the ballet barre and a few props to create a transformative workout that results in long, lean sculpted muscles. Not only does it reshape your entire body, but it allows you to channel your inner strength and leave class feeling strong, confident and poised. Highly-trained instructors customize the exercises to ensure they are safe and effective for any age and every body, including modifications for pregnant women and students with injuries. Our staff and community are here to support you from the moment you walk through the door. Voted Best Barre Studio 2017 & 2018 by the Denver A-List votes! 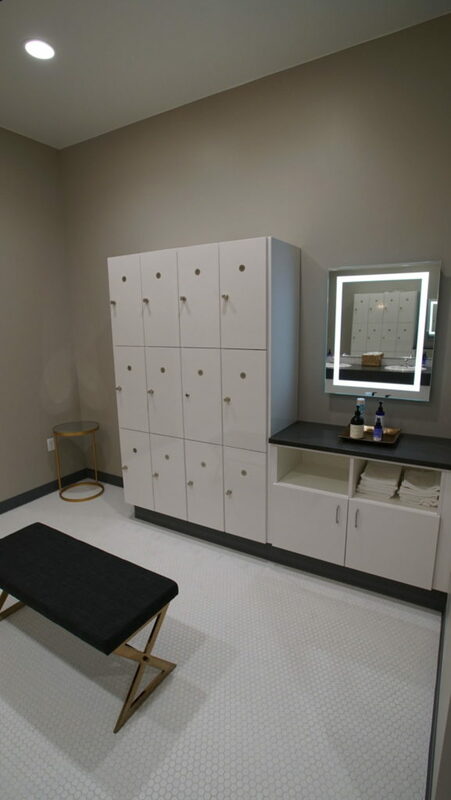 Our boutique barre fitness studio is located at The Shops at Northfield, in the middle of the growing Stapleton/Northfield community. At The Bar Method, we pride ourselves on offering a results-driven workout and on creating a supportive barre community that fosters growth and camaraderie among clients. When a move in 2014 took Sarah Stabio to a community without a Bar Method, she quickly recognized an opportunity to bring her favorite workout to her new neighborhood. She loves that the class is mentally and physically challenging, while providing a great sense of accomplishment after each class. Plus, the results! The Bar Method helped Sarah stay fit during her third pregnancy and lose baby weight afterward. It continues to help her stay toned and manage her busy life as a mother of three and a small business owner. Sarah is honored to bring The Bar Method to the Stapleton and Park Hill communities. If you are on the waitlist for an early morning class, please verify on the Bar Method app that you were added to class before heading over. If you cannot attend class, cancel your class online, on The Bar Method app, or call the studio to avoid being charged for a no-show. All classes require cancellation one (1) hour in advance of the class start-time. If you are using a class package, a no-show or cancellation after the above cutoff window results in a loss of that class. If you are using a membership package, your account will be charged a $10 late-cancel/no-show fee. If you sign your child(ren) up for Kids Club, but do not show up, you will lose that visit (individual or package) and be assessed a $5 no-show fee. Returning students may enter up to, but not after 10 minutes late into a Bar Method (60-min) class or up to, but not after 5 minutes late into a Bar Express (45-min) class. Upon entering class, please lift your knees with arm pulls 30 times to warm up before joining in. Please wear exercise pants that cover your knees and socks that cover the entire foot (grip or regular). Men, please wear long exercise shorts with compressions/bike shorts under or longer exercise/sweat pants. Please do not bring cell phones into the exercise studio. Lockers are provided with locks and we ask that you leave your phone in a locker along with the rest of your belongings. We provide towels without charge. Hand towels are available outside of our studio. Please leave your towel in the hamper on your way out. Pregnant clients please check in at the front desk so we may provide you with recommended modifications to keep you and baby safe starting at 16-17 weeks+. Please notify front desk staff and instructors of any injury that may impact your ability to exercise. In some cases, a doctor’s note may be required to allow you to take class. Mothers who bring children under age 8 must ensure they are in the childcare room during class. Children are not allowed to play or climb on the stall bars and other exercise equipment. Infants need to be 8 weeks old before starting childcare at our studio. You can make reservations for childcare or the Bar Method App (add yourself to the Kids Club class to hold a spot) or by phone. When reserving by phone, please indicate your name, the time of the class you plan to attend, along with the name and age of your child(ren). Childcare costs $8 per child or $12 for two children for drop-ins. Kids Club 10 packs are available (10 single visits for $60 & 10 double visits for $90). 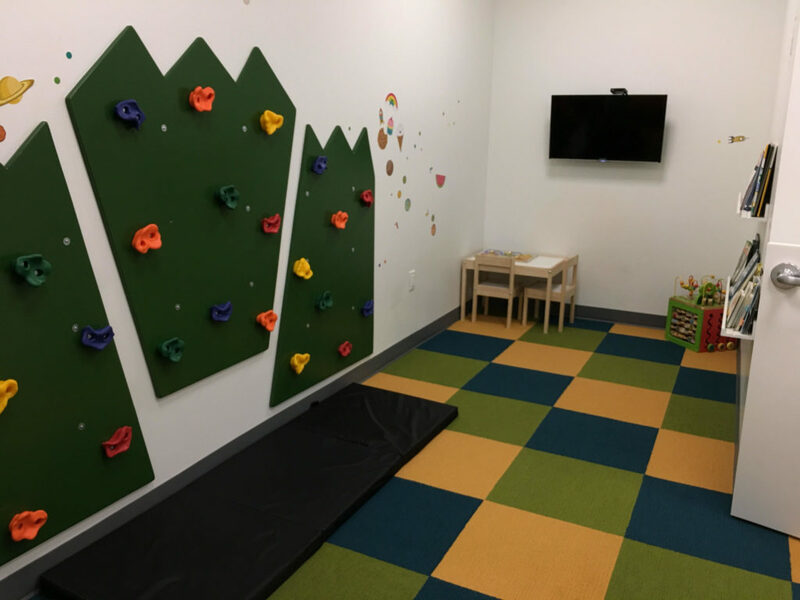 Members (auto-renewing packages) and clients on our New Mom Special receive 15% discount on all childcare fees. Childcare is available for our 9AM & 4:30PM classes on Monday & Wednesday plus our 10AM and Noon classes on Tuesday & Thursday. Free and convenient parking is available directly out front of our studio off the Main St. of the mall, directly behind our unit and behind H&M. Club Bar Monthly members and Club Lite members may freeze their memberships up to twice per year for up to 60 days. A fee of $15 is required each time you freeze your membership. Clients utilizing our 1 Year of ‘Club Bar’ – 12 Monthly Payments may not freeze their memberships. 30 class package sessions must be used within 1 year of purchase. All discounted retail items are final sale, no returns will be accepted. Please see your package contract for special cancellation terms. Terms vary by service pricing option.